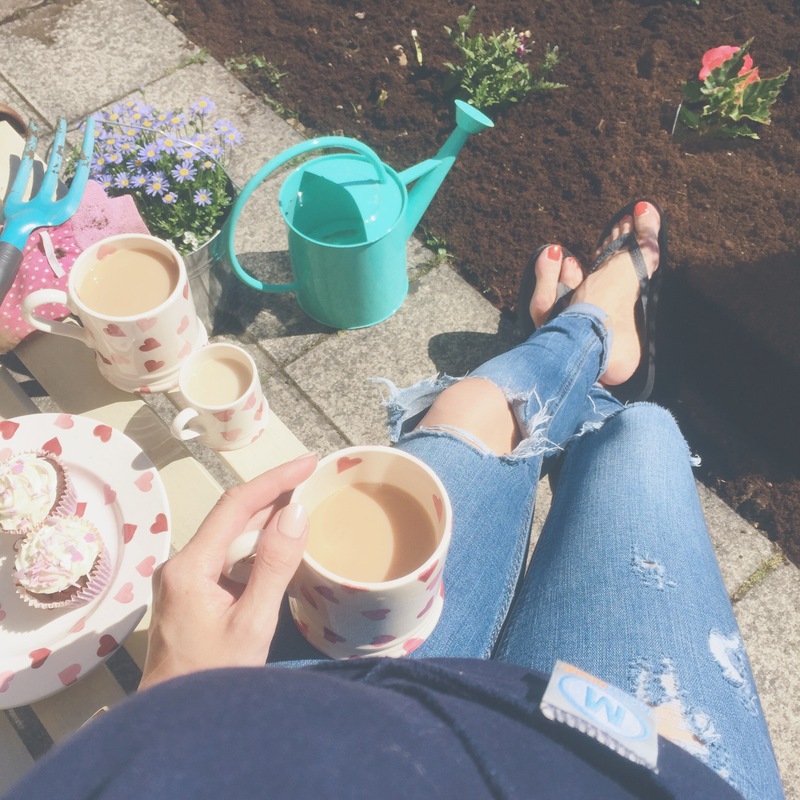 I thought I would share my top time and energy saving products I have used in the first month of having a new baby. This can be such a busy and tiring time so making life a little easier is invaluable. A friend dropped this off to me one week Bella was sick when she was about 10 months old and it was a life saver then, Bella loved it and I got so much done. This week Annie has begun to get some colic in the evenings from about 6pm and the sling has given me the freedom to make dinners, clean, bath Bella and also get out in the garden. With a colicy baby you just can’t set them down and I’m not able to solely hold Annie and leave everything else. I have been so grateful for the wrap and Annie is so safe, secure and comfortable in it too. 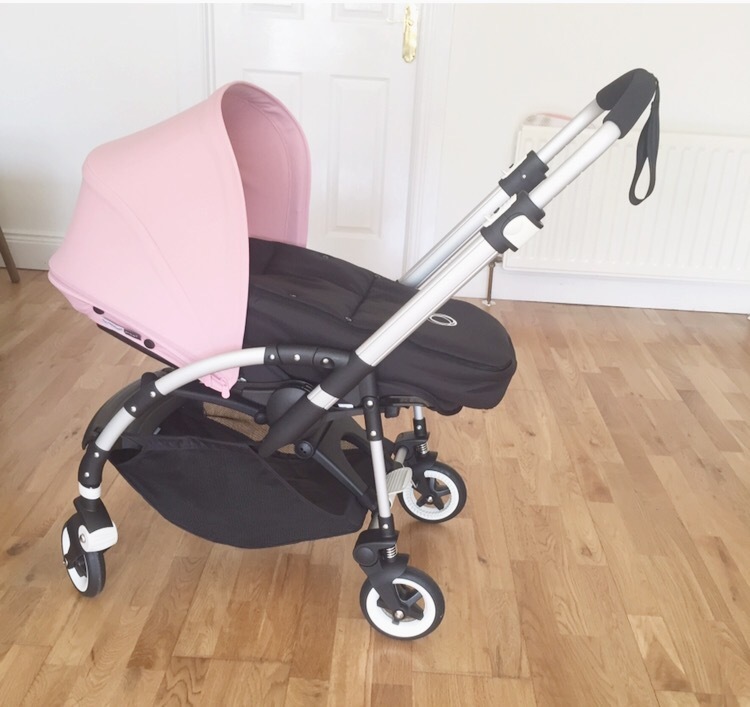 After using the Bugaboo Bee3 all month I couldn’t recommend it enough! 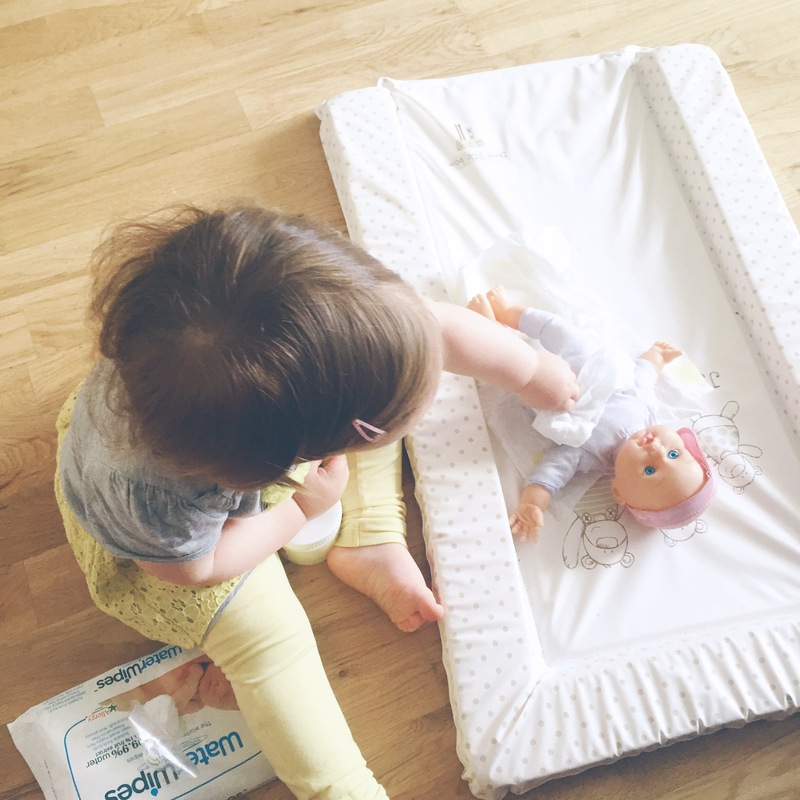 It has been great for both baby and toddler as the newborn caccoon that sits into it is so easy to lift out if the toddler wants to get in. The pram is the meaning of lightweight and is folded all as one piece so can be put away in seconds into your car boot. With Bella I loved spending time dressing her in lovely little outfits everyday but this time at 1 month old Annie is only beginning to get out of babygrows during the day and I know this won’t be everyday. They are only tiny for such a short length of time and it’s the only time they can get off with wearing pajamas all day. Baby grows are so comfy on them, no pressure on their little tummies and also so quick and handy to put on. Don’t underestimate how many you can go through in the early weeks. We have a changing mat slid under the sofa in the living room and one on the changing station in her nursery upstairs that we will take into the bedroom at night. Another handy thing to have two of instead of carry one up and down stairs. I have filled a little box in the living room, toy room and bedroom with Nappies, wipes, Muslim square, cream and fresh babygrow. When the baby is sick or needs changing its so much handier having everything on hand than running around gathering the bits up especially if you have a crying baby, a toddler that would like to share her pineapple to soothe the cries and your on your own… Yes Annie was nearly trying solids at 3 weeks. 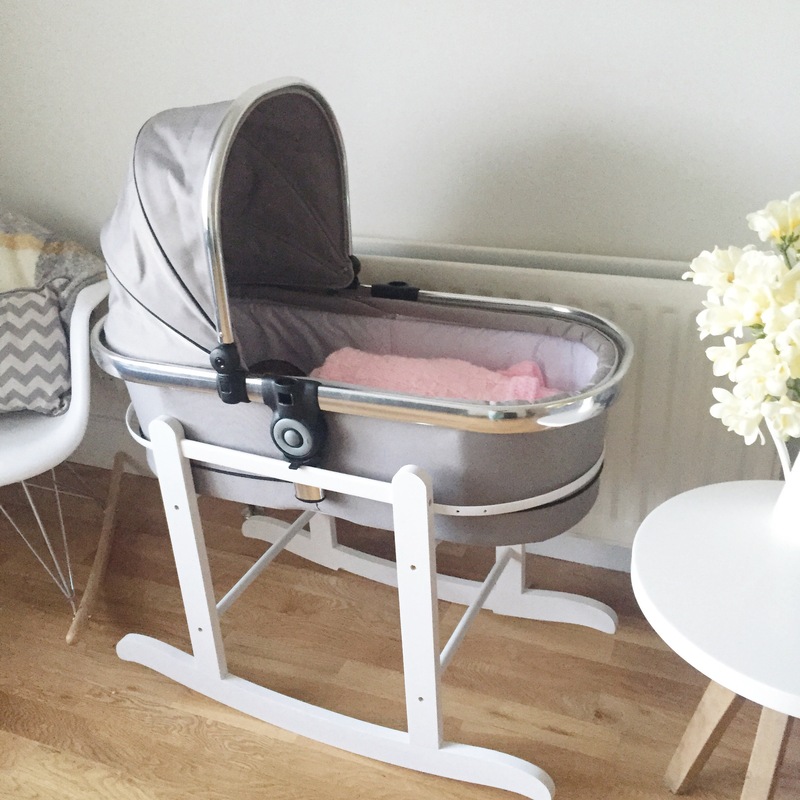 Every baby is different and will benefit from different ones but I would advise to have one of these in the house, normally if a baby is going to suffer from some colic it will be in the evening and the instant relief from pain I saw Annie get I was glad I had some in the house when deciding to use it. A friend brought around the gripe water we have found it great! This ones for mummy. For the times you just can’t get to make something to eat I found these great. 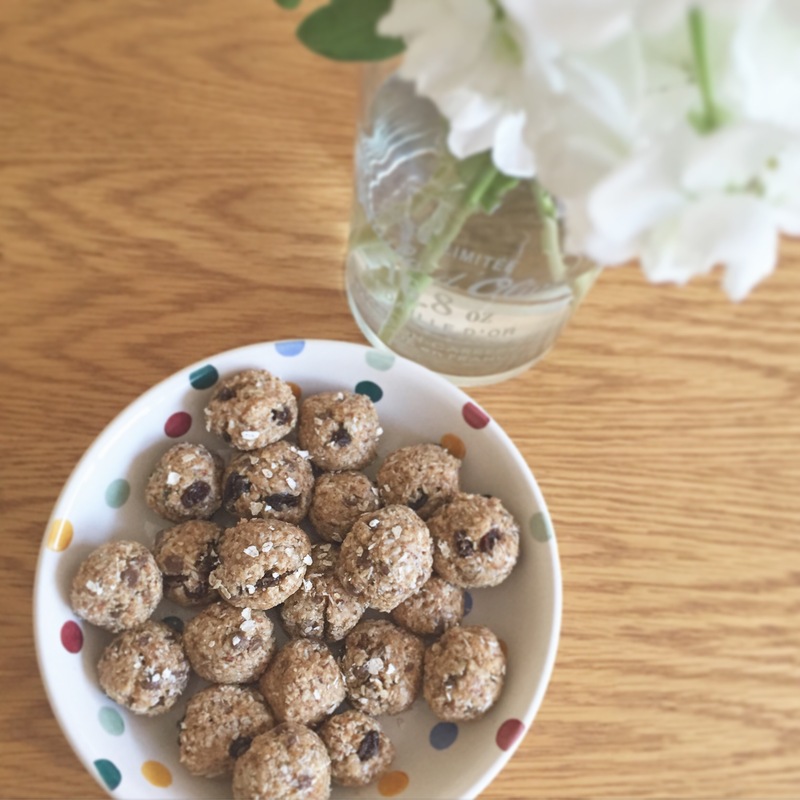 A lovely lady I met on Instagram sent me through the recipe for these, they took 5 minutes to make and have been so handy kept in the fridge for snacking. 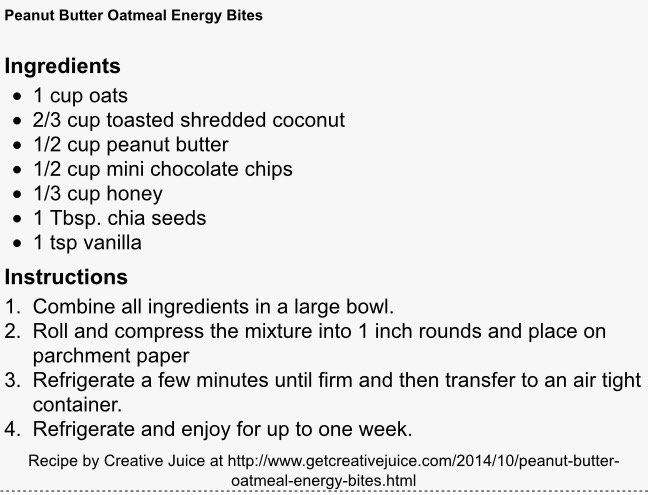 These are brilliant energy boosters and for breastfeeding mums due to the oats they are fab for your milk supply. 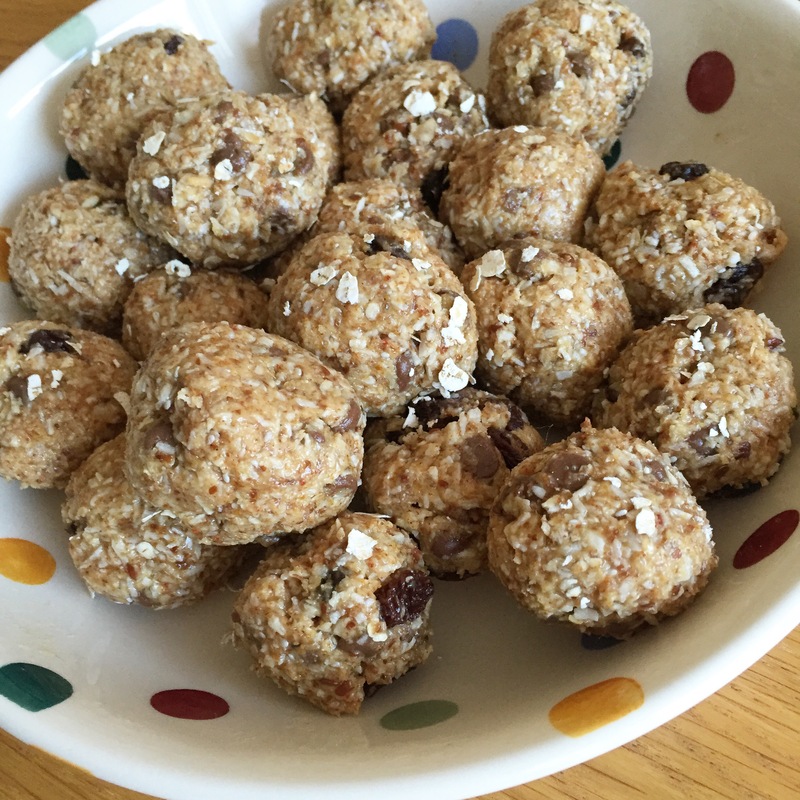 Bella has also been loving them as a treat as they are sweet and they are great with a cup of tea. Please share your top time saving, energy saving and all around making life a little easier tips.